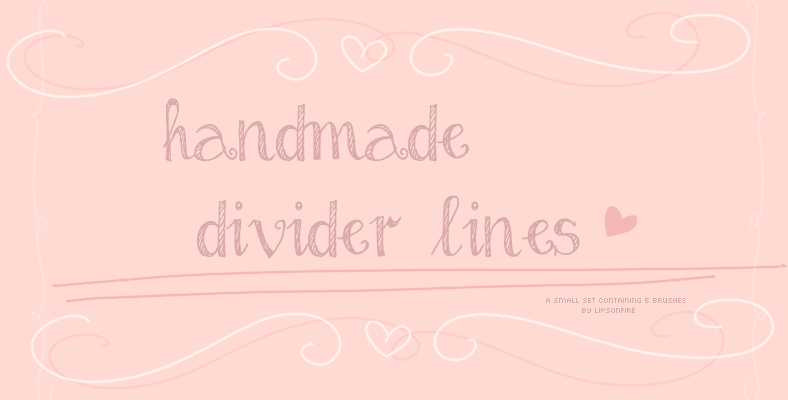 This set contains 5 hand made divider lines photoshop brushes made using a pen tablet and Paint Tool SAI with some swirls and hearts, ideal for girly blogs, cute layouts and related things. Made with Photoshop CS4; contains a .ABR file. Please DO NOT redistribute this on your site!